New affiliates that signup through Gaffg will receive 50% revenue share for 3 months and no negative carryover. EXCLUSIVE: New affiliates that signup through Gaffg will receive 50% revenue share for 3 months and no negative carryover and 35% after. Affiliates who want to promote two outstanding casino brands would do well to check out 7Bit Partners. Once they become a part of this program, affiliates will have the chance to promote the 7Bit and Mars Casino brands. Both of these online casino have been around for a while and are mainly targeted for players residing in European markets like Estonia and Russia. Thanks to an impressive selection of casino games as well as generous bonuses and promotions, these online casino brands are slowly growing in popularity among players. As a result of its offerings to players, both of these brands can potentially have great conversion and retention rates. 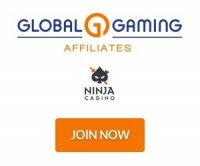 Generous revenue share and CPA commissions await affiliates who are able to successfully promote the online casino brands. If they went for revenue share commissions then affiliates can expect a share of at least 25% of the net revenue that the online casinos are able to generate from their (the affiliates’) successful referrals. It’s also possible for affiliates to get a fixed amount for every new player referred provided they’re able to qualify for the affiliate program’s CPA commissions. As for those worried about a negative carry-over policy, the program has now changed its stance and has abolished it. This means an affiliate’s negative balance for this month won’t affect his/her commissions for the succeeding months. While 7Bit Partners doesn’t have a negative carryover policy, it’s also very vague when it comes to payments. The affiliate program’s terms and conditions indicate that affiliates will need to process withdrawal requests before they can get paid out for the commissions they earned. These requests will need to be made after the program calculates the affiliates commissions after a month. Additionally, affiliate can only process withdrawal requests if their commissions reach the minimum threshold. As of this writing though, the affiliate program has not replied to our queries regarding the exact amount for this minimum threshold. Once the minimum threshold is met and the affiliates have processed their withdrawal requests, the program will then make sure that the payouts are processed to their (the affiliates’) payment method of choice (Bank Transfer, Cubits, Bitcoin, Skrill, Neteller). Not meeting the minimum threshold will only mean a deferral of the payout to the next month or until the required amount is reached. To help affiliates with promoting the online casinos, 7Bit Partners provides them with a number of marketing/promotional tools. These are easily accessible on the affiliates’ player accounts and include Flash and HTML 5 banners, as well as images that can then be used on affiliate sites or social media campaigns. Aside from creatives, the affiliate program also allows affiliates to monitor the progress of the campaigns that they’re running. Affiliates can use the affiliate program’s monitoring system check the number of visitors they were able to refer as well as stast for referred players who go on to register and deposit. Owned and managed by Direx N.V., both 7Bit Casino and Mars Casino operate on a license issued and regulated by the Government of Curacao through Antillephone N.V. The online casinos feature more than 600 casino games from developers and providers such as NetEnt, Microgaming, Ezugi, Betsoft, iSoftbet, Habanero, Mr.Slotty, and SoftSwiss. To help convert and retain the players referred to them, these online casino brands offer generous welcome bonuses as well as recurring/weekly promotions. Thanks to these, referred players can receive as much as €450/.225 BTC in bonuses on their first 4 deposits. Aside from the bonuses, there are also weekly promotions that players can take advantage of to receive free spins and cashbacks.